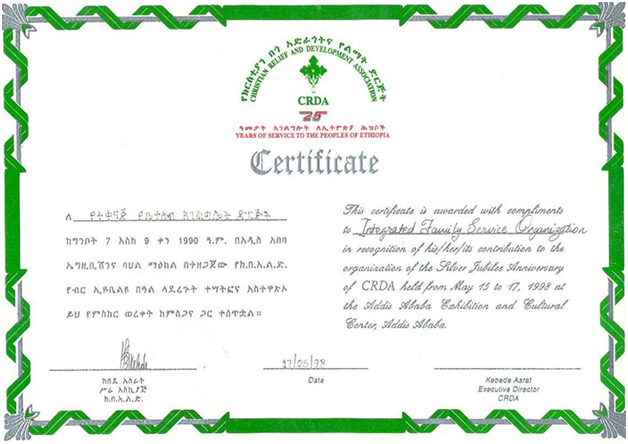 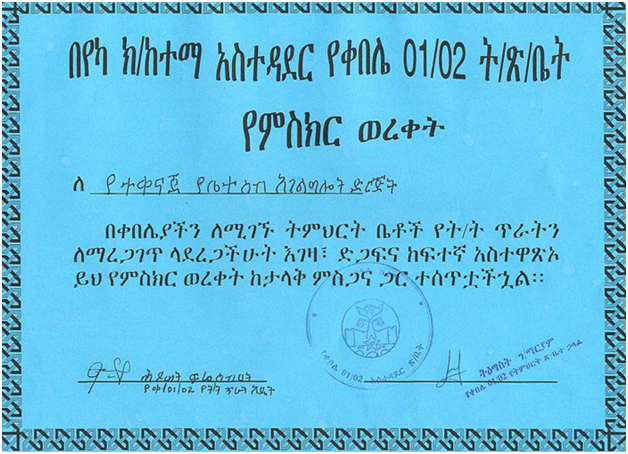 Below is a partial list of certificates awarded to IFSO by different organizations and communities in recognition of its various achievements in its relief and development efforts in Ethiopia. 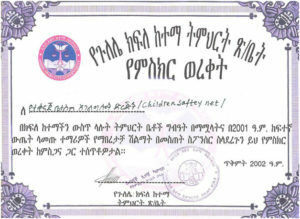 A certificate Awarded to IFSO for supporting activities to ensure quality of education in schools at the Yeka Sub-City. 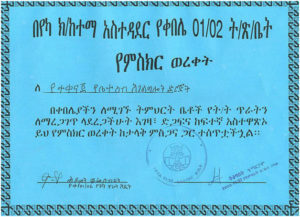 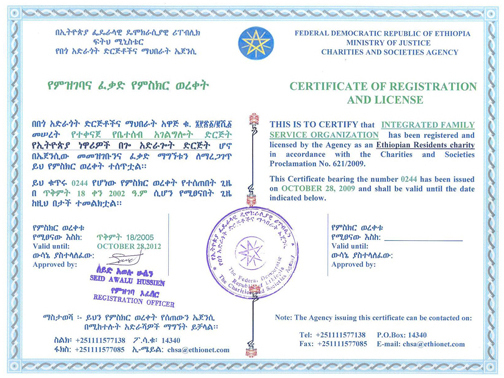 Registration and License Certificate by The Federal Democratic Republic of Ethiopia Ministry of Justice charities and Societies Agency. 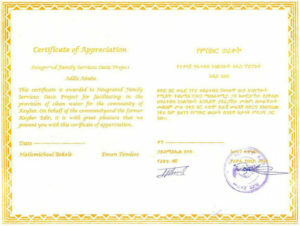 A certificate awarded to IFSO'S Oasis Project for facilitating in the provision of clean water for the community of Keyber. 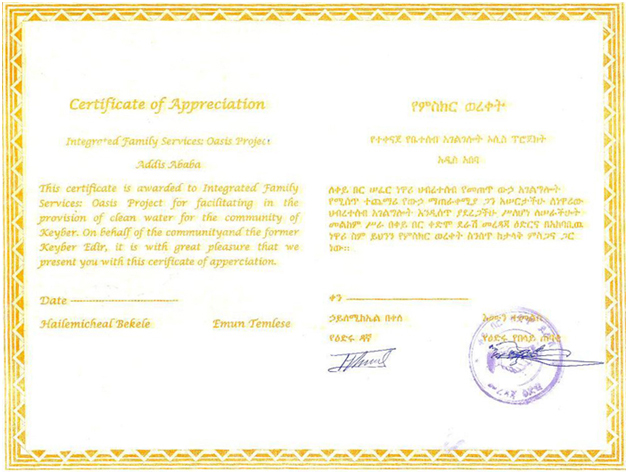 A certificate awarded to IFSO for installing water tank and building a water supply Bono for the Wolaita environment in Addis Ababa. 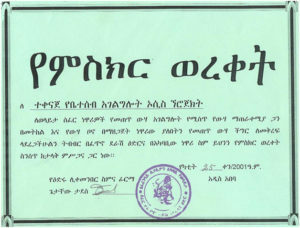 A Certificate issued by The Gullele sub-city Education Bureau for supporting schools and their different activities in the sub-city. 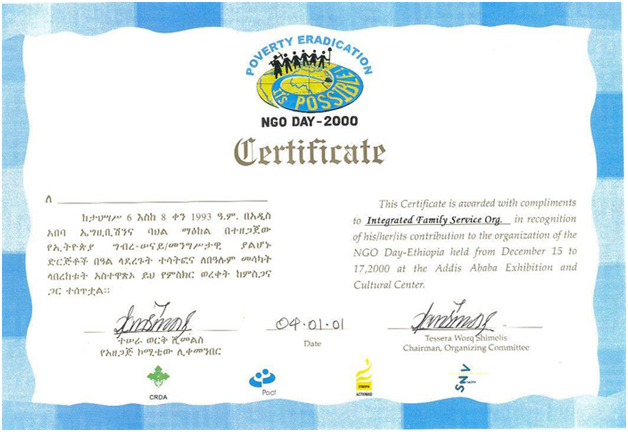 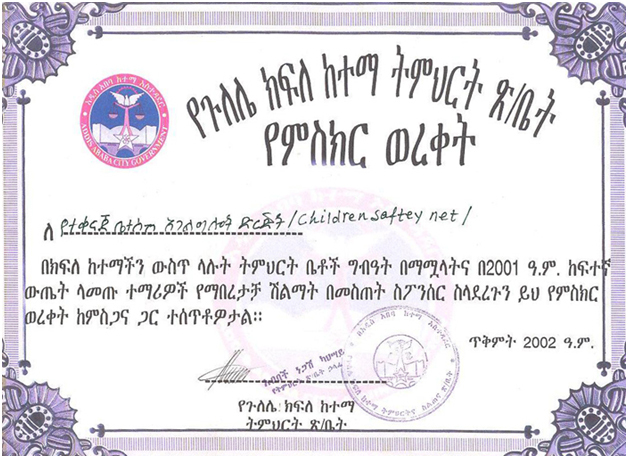 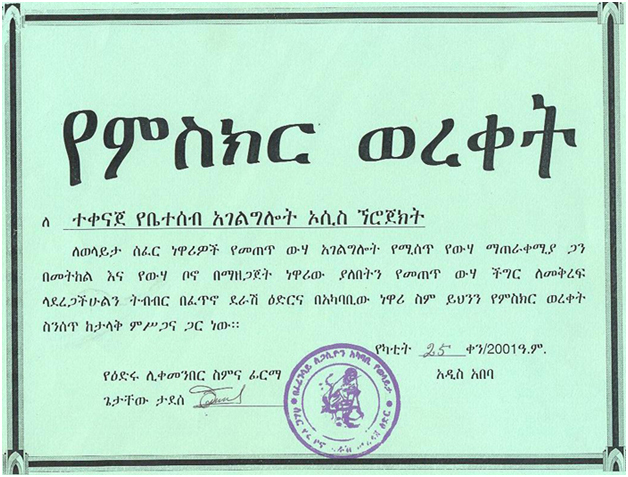 A Certificate issued to IFSO in recognition of IFSO'S contribution to the organization of The NGO Day Ethiopia. A certificate awarded to IFSO in recognition of the Silver Jubilee Anniversary of CRDA.